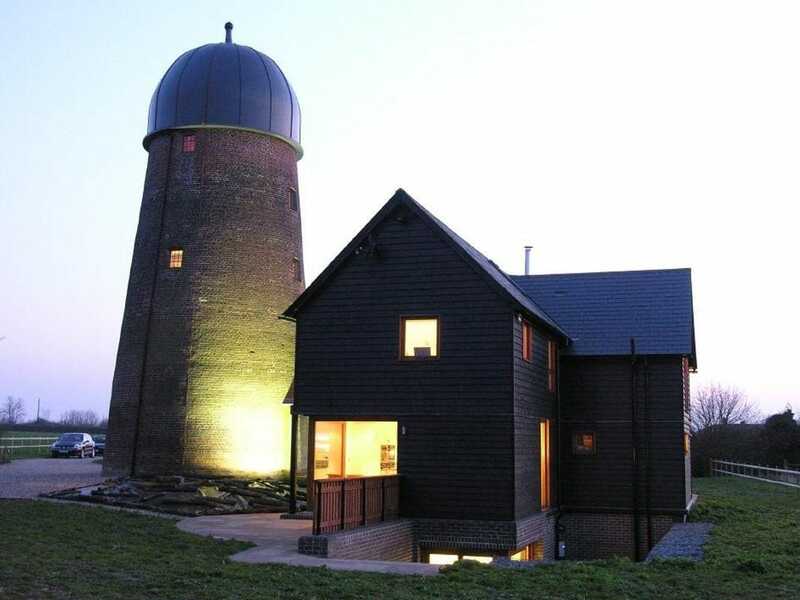 Restoration, conversion and extension of a historic windmill to create a contemporary home. 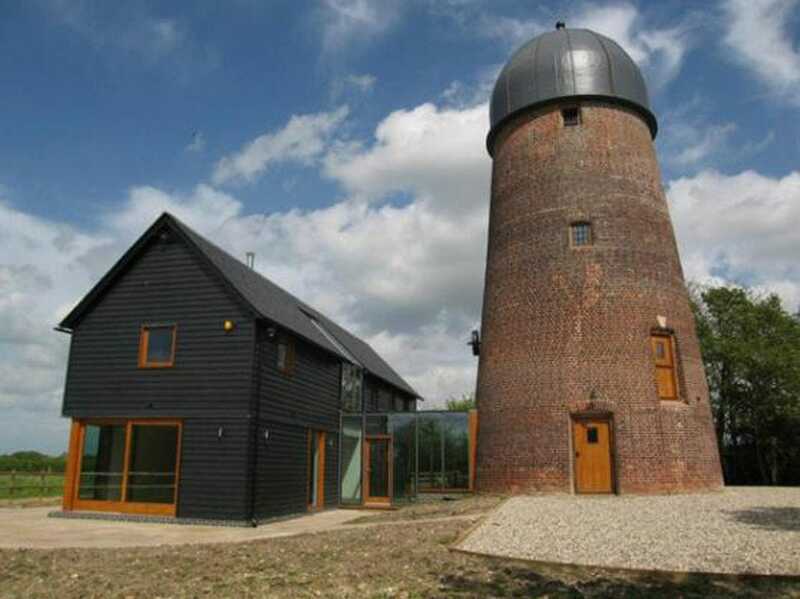 Gainsford End Windmill is a Grade II Listed Red Brick Tower Mill built in 1869 and is five storeys high. Built on the site of an earlier Mill, the Mill had been derelict from the late 1960s to early 1970s at which time the cap was lost. 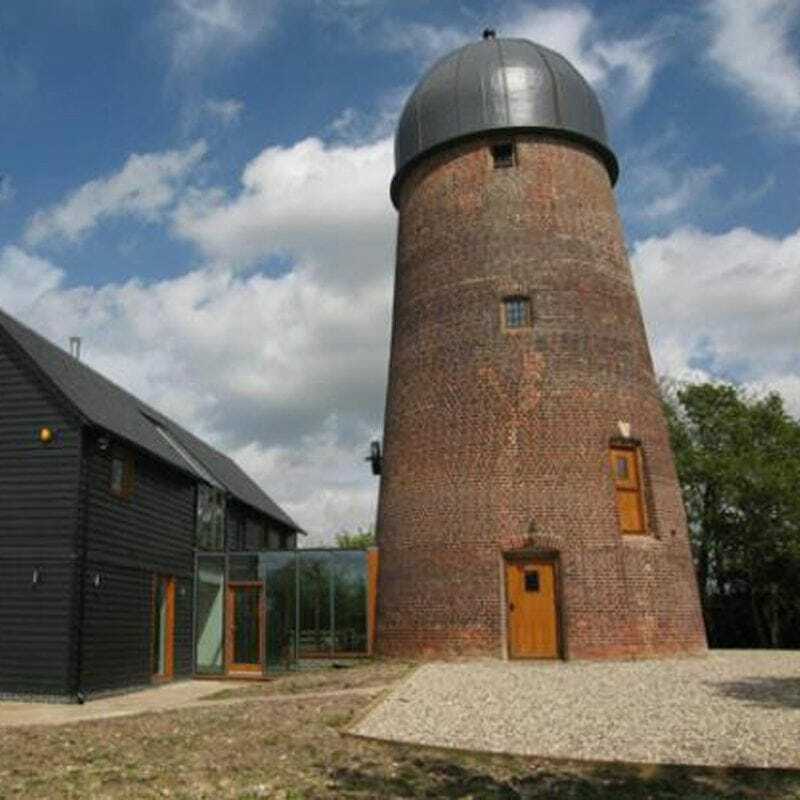 The renovation of the Mill involved reinstating the floors and cap, whilst retaining the surviving machinery and incorporating it in its original position. The Mill House was then linked via a glazed structure to a new residential dwelling, consisting of two storeys with a basement. The Mill was repaired with a traditional lime mortar, the floor beams were repaired, and where necessary, replaced with pitch pine. The new cap consisted of a series of timber ribs with two layers of 125 spruce boards over the ribs, which was then finished in a GRP fibreglass waterproof membrane. The new dwelling was constructed in reinforced cavity wall construction, with a beam and block suspended ground floor. The two storey dwelling above, constructed in timber frame, with pitched slate roof and weatherboard clad externally. The property itself has 5 bedrooms.